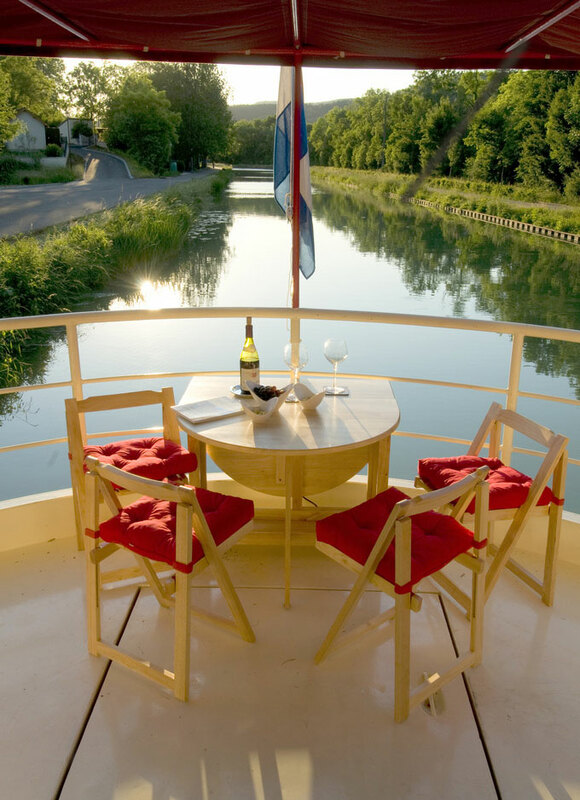 Picture yourself floating gently along Europe’s winding waterways, dining every night on fresh local foods and spending your days exploring hidden nooks of France, Germany, and Belgium. That’s the experience of canal barging—a very specific type of European cruise that has gained a very loyal following of sophisticated travelers, but which is still unknown to many. That might be because the word “barge” isn’t very enticing—it doesn’t exactly conjure up the charm and luxury that these trips really offer. A better name for the experience would be “canal yachting,” says Ellen Sack, our Trusted Travel Expert for this kind of vacation, who’s been working in this unique part of the travel industry for 30 years. But whatever you call it, this kind of vacation is something special—a way to see beautiful European countryside from the water without the drawbacks of a cruise. Even if you’ve been to Europe many times, or taken a river cruise, canal barging is a new experience. What exactly is canal barging? Canal barging is a type of cruise that takes place on very small boats that wind through Europe’s manmade canals, some of which were built as far back as the 16th century, when cargo barges used them to ship freight around the region. Now that trucks, trains, and planes have taken over that job, the canals are used as sightseeing routes for small boats that are still called barges, even though they’re more like intimate floating hotels. As opposed to their predecessors, these come with all the high-end amenities: private chefs, private tour guides, and a captain who is often the owner of the vessel and an expert on the region. 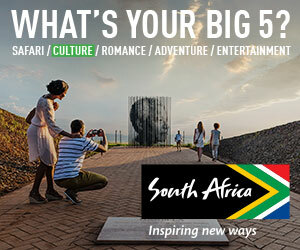 Days are filled with activities that enable you to delve into the rural areas’ artisan culture and laid-back lifestyle. On one day you might find yourself bicycling through fields, shopping at local markets, wine tasting at vineyards, or getting a behind-the-scenes tour of a chateau. Canal barge vacations are similar to other cruises in that they have start and end dates and follow set itineraries. But since groups are very small—Ellen Sack’s company, Barge Lady Cruises, offers boats that carry 12 people or less, and none carry more than 24—guests have access to a lot of privately guided experiences. And if you don’t feel like sharing the boat, you don’t have to: A multigenerational family can book an entire barge to themselves, whereas if you’re a couple who’s feeling social, you can join a mixed boat. France is the main destination, and Sack has most of her boats there. But she also offers cruises in Holland and Belgium, Italy, Ireland, England, Scotland and Germany. Canal barge itineraries include private tours, artisan food tastings, outdoor activities like bicycling, and visits to villages and markets. Photo: Barge Lady Cruises. How does it differ from river cruises? The upshot is that barging will take you deep into a country’s rural areas, which are not accessible to river cruises (or big-ship ocean cruises either). Barging is for a certain kind of traveler. •You like slow travel. 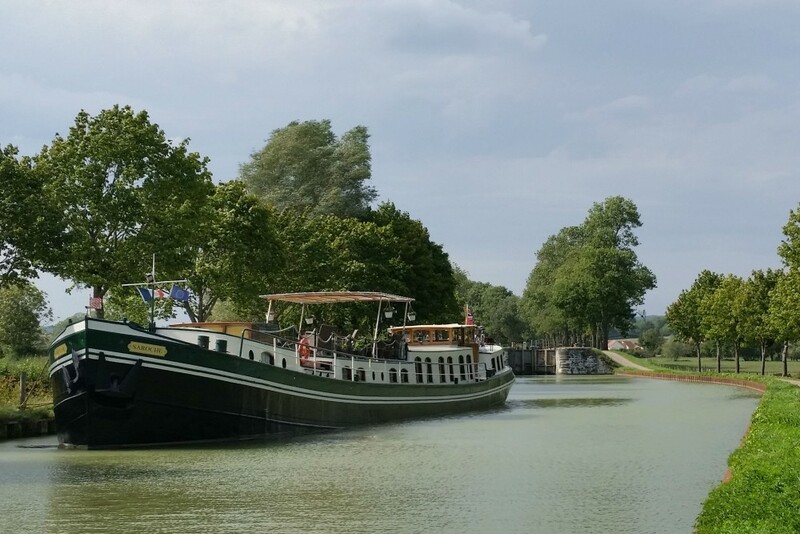 Barging isn’t for travelers who want to hit a lot of countries and destinations in one trip. It’s for travelers who want to immerse themselves in an area and see parts of Europe they haven’t had access to before. •You like good food. Barges have their own private chefs and usually include the chance to shop with the chef at a market. •You like private, special-access experiences. Barge cruises stick to set itineraries, but the quality of the itinerary very much depends on the experience of the company you book with — which is why we recommend Sack’s company. She has great connections in Europe and is able to arrange for special experiences, like mustard tasting with artisans in Burgundy. •You don’t care about dressing up. As Sack tells it, most of her travelers are comfortable in the informal setting of a barge. They aren’t looking to get dolled up and hit the town, and they don’t mind that they’re going to kick back for a week. Since barge cruises travel where most tourists don’t—and offer private tours and experiences—anytime is a good time to go, even during the usual height of Europe’s tourist season. In general, the barge season runs from April 15 to November 1 and is most popular in June and September. Mid-April through the first two weeks of May are what’s known as value season, where some boats offer 10 to 25 percent off their main season rates. But every boat differs; some might have their value season in August, and some don’t have a value season at all. And finding the right boat for you is what Sack does best. Contact her through WendyPerrin.com to be identified as a Wendy Perrin VIP traveler (which means that Wendy will be in the wings offering advice and making sure your entire travel-planning experience is a positive one), and then talk to her about what you want in your vacation. Sack knows her boats, their routes, and their owner-operators extremely well and can tell you whatever you need to know. You can also peruse her Barge Lady Cruises website, which is packed with a ton of info. You’ll find pictures and blueprints of every boat, sample menus and photos of meals, a full itinerary, photos of the crew and past guests in action, and reviews from previous travelers on each specific vessel. The Netherlands: Plan Your Trip! I want to try this on my next vacation!! Great piece and really beautiful photos. 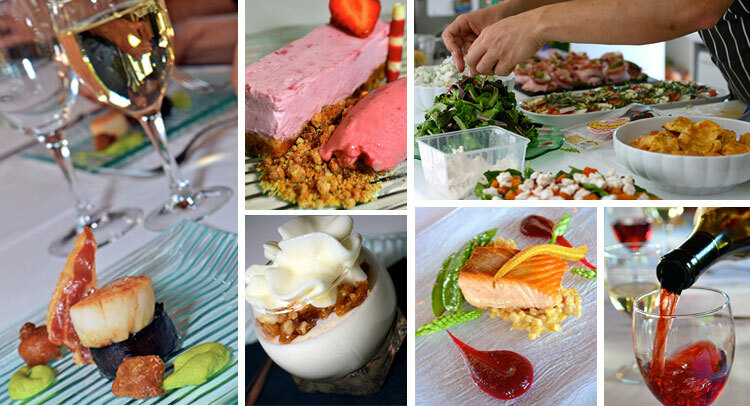 Floating through the heart of the most scenic portions of France with a gourmet chef on-board who will take you to the local markets may be as close to authentic travel as any of us get. What surprised us were the walking trails between the locks, making this the perfect vacation for couples who enjoy walking together. There is something wonderful about walking the paths alongside your boat and then coming back on-board to an open bar. Our best experience involved traveling with two other couples. It allowed us to charter our own three-bedroom barge. The cabins were large and the sense of privacy and comfortable luxury was amazing. Great article about the joys of barging!